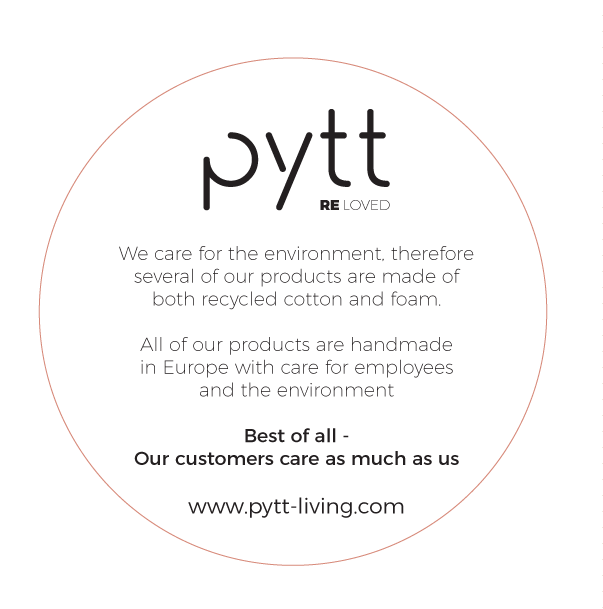 Reloved By PYTT.. At PYTT Living we care for the environment and the recyclability in our products. Therefore several of our products are made of both recycled cotton and foam. All of our products are handmade in Europe with care for employees and the environment. We have always been producing products containing reusable materials, and we will continue doing that in the future. Over 50 percent of our assortment contains reusable materials – that includes covers and filling. See some of the products here. The REloved products are all marked with a REuse, REduce, REcycle logo. Some of our suppliers are self-sufficient whit solar and wind energi. We will focus more on self-sufficient companies in the future. All the products in our range are carefully selected with respect for the environment and production form. The rule applies to new and old products. We are constantly working towards making our production and products environmentally friendly. 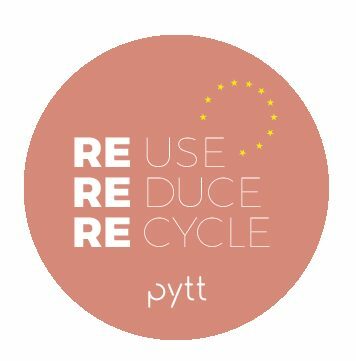 Reloved by pytt.